Last week I met with COO Marc Roark, Sales and Marketing Director Takara Fuller, and Sales Development Manager Kim Wynn at the Paleo on the Go facility. We shared paleo stories and I learned more about how Paleo on the Go came to be. I was surprised to learn that the company started with the owner Dave delivering the meals himself – even out of the state. A totaled car and many miles later the company transitioned to shipping and quickly grew from 4 employees to 35! After our delicious lunch of elk burgers, collard greens, and cookies; Takara and Kim took me for a tour of the facilities. I was really impressed with the atmosphere and sense of family. As she introduced me, Takara expressed appreciation for each of the staff and it was apparent how valued each member of the team is. The passion and love that everyone showed while they worked was infectious. Put it this way – I was there on a Monday. Who wants to be at work on a Monday? I was impressed. Separated into the bakery, kitchen, and packaging areas the facilities were clean, and busy! Seeing the process up close and personal definitely brings a new appreciation to the value of having a safe paleo meal delivered to my door. On the Paleo on the Go website you can choose individual items from the full menu, meal plans, or a meal subscription plan. After you place your order you will receive a confirmation and update when your package ships. The best part – any order placed before 5:00pm Monday – Thursday will be delivered overnight. Items are shipped with dry ice in a sealed recyclable cooler to ensure that they are delivered frozen. It’s best to make a bulk order to qualify for free shipping, but the $39.99 is reasonable considering the overnight delivery and actual cost of getting it to your door (POTG absorbs much of this cost). For those of you also local to the Tampa Bay area you can skip the shipping and pick it up at their offices in Largo. All the meals are chef prepared, flash frozen, and properly sealed to maintain freshness. Packaging varies depending on the product, but the majority are vacuum sealed in pouches. While touring, Takara showed me how they are in the process of transitioning many items into sealed trays, which will make reheating easier and improve presentation. This was one of the most important pieces for me in deciding on a delivery service. I first transitioned into the world of real food from an environmental perspective, so proper farming practices are on the top of my list. During our chat I asked all about the sourcing process, how the animals are raised, and where all the food was coming from. I was pleased to find out that Paleo on the Go management spent a few days at the incredible Circle C Farm, to really see how things are done up close and personal. The animals here are so cared for that the turkeys and chickens are provided with kelp-infused water with essential oils to help keep them healthy. Paleo on the Go is very transparent with their food sourcing, with a full listing available on their website. I absolutely love this aspect about their food, as sourcing is one of the time most time consuming pieces of eating a real food diet. Again, the passion and love that POTG puts onto every plate is apparent, starting with the lives of the ingredients they source. All meals are prepared in a dedicated gluten free & paleo kitchen, with an additional focus on the Autoimmune Protocol as it’s an issue that hits close to home for the POTG team. They worked with Dr. Sarah Ballantyne to develop their menu to her guidelines, so all items marked AIP are truly compliant. All meals are also chef prepared the right way – animal fats are rendered in house and bone broth is constantly simmering in small batches. There seriously is no better way to get properly sourced meticulously prepared meals without doing all the work your self. I received these items at no cost, but I can assure you this is an unbiased review. I take food, and my words to you, seriously. Long before my love of paleo I had a deeply imbedded love of all things gluten and all things Italian food. I know good home cooked sauce and turn my nose up to anything less, so to say I was a bit apprehensive about the Butternut Squash Lasagna is an understatement. Much to my surprise this is my absolute favorite meal I’ve had from POTG so far! The butternut squash brings the perfect balance of sweet flavor to the sauce and the cashew ricotta is so delicious that I actually double checked the package to make sure it wasn’t dairy. I enjoyed this lasagna so much that I literally dreamt about eating it again…and then promptly ordered a few for the freezer. My husband gave it his full endorsement – which is hard to come by. Organ meats are an essential piece to a healthy healing diet and I can’t seem to get myself to eat them. I’ve tried and tried and just can’t seem to get there. One bite of this nutrient dense pie and I knew it was a winner – I couldn’t pick out the beef heart at all. Overall the dish was savory, full of flavor, and incredibly moist. I didn’t think I would like the cauliflower top, but it had great flavor and silky smooth texture that I thoroughly enjoyed. There was a nice balance of meat and vegetables and the portion size was generous. I have a special place in my heart for chicken pot pie and I am thrilled to be able to enjoy it again. This pie had great flavor, was packed full of chicken and vegetables, and the crust was spot on. 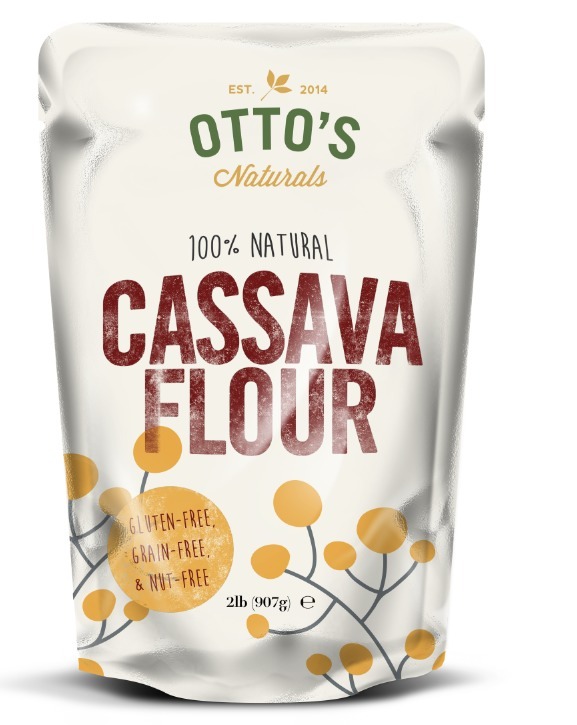 It’s made with Otto’s cassava flour, which results in a flaky, crispy, crust very similar to the real thing. My only critique is the amount of time it took to heat was much longer than what’s listed on the package. The instructions did indicate that ovens may vary, but I didn’t expect it to take twice as long (90 minutes). I’ve tried this in both an electric and gas oven and both took 90 minutes, so definitely plan some extra time the first time you have it. It’s a very generous portion and paired with a dinner salad gave me 2-3 meals. It’s also something that I went back and ordered 2 after trying, as it was just that good. I’m definitely a chicken broth kind of gal, so I was surprised with how much I enjoyed this beef broth. I used it to add some flavor and moisture to a plantain dish and also enjoyed some for sipping. I make my own broth regularly, so it’s not something I would typically purchase, but it’s an excellent high quality option for those of you that can’t or don’t want to make your own. Paleo on the Go always has bone broth simmering, as each small batch cooks for 48 hours. I saw these batches first hand and can assure you this is as close to homemade as you could possibly buy. There is no higher quality. No review is complete without treats! These almond butter based paleo treats are a new favorite in my house. Nutty, soft, and fluffy I really enjoyed the cinnamon tone and slightly sweet flavor. These are a great option to enjoy for a treat without sliding back into sugar cravings. I took these along with me when traveling out of town for birthday celebration at an Italian restaurant. Having a safe dessert with me helped me to be able to focus on the celebration and not feel isolated as everyone scarfed down cake. One thing that I enjoyed about my time at Paleo on the Go was hearing their genuine concern for their customers. They work hard to create products that make all of our paleo and AIP lives a little better and even integrate feedback they receive to improve their products. Holidays and social gatherings are especially difficult for many of us and Paleo on the Go has gone above and beyond to create an incredible holiday experience through their yearly Thanksgiving offerings. They have both Paleo and AIP options and were kind enough to send me home with a sample AIP meal to review for you. Like everything else I’ve tried, I have no complaints. I’m actually sad that I enjoyed this prior to Thanksgiving because I know the meal I had planned to prepare won’t even come close! It was that delicious. The turkey was moist and flavorful and the gravy was lick the pan worthy. The Cranberry Orange Sweet Potato Casserole was my favorite item, and unfortunately I could only enjoy a small bite since it’s made with coconut. The orange complimented the sweet potato so well that I can’t wait to try to make my own coconut free version. Everything was wonderful and I can see how this meal is such a lifesaver for so many. A few years ago I travelled on Thanksgiving. Trying to enjoy a safe meal was a nightmare and absolute hassle. Next time I’m away for the holiday I will be ordering this, as a delicious fresh cooked and safe Thanksgiving feast is as easy as opening some containers and heating the contents on a tray in the oven. Seriously, that’s it. This is a game changer. You can purchase your Thanksgiving Meal through November 22nd to have it in time for the holiday. They also have add on options like pumpkin pie and pumpkin spiced pop tarts! Flavor wise, everything I tried from Paleo on the Go both in person and delivered has been delicious. The care they take in packaging and shipping their products shows, as quality is definitely not compromised by thawing and/or reheating. While packages may look small all servings were generous and many gave me leftovers. When I first looked at the website I thought the meals were a little expensive, but after seeing just how high quality the ingredients are and what goes into making them I’m surprised at how reasonable they’ve been able to keep the prices. Just the sourcing alone makes them work their price. Reheating times and methods vary and for the most part took more time than indicated on the package. I tried both the heat in the bag and oven method and much preferred to heat them in the oven. For some items this does require that they are thawed in advance, so keep that in mind when planning. I’m looking forward to the new tray based packaging as it will provide improved reheating options. I cannot express what a lifesaver these meals are for traveling. I flew up to NY for a quick trip and packed a few of the above items in my luggage. It was the first trip I didn’t have to worry about food and it allowed me to focus on my family who I was visiting, instead of spending so much time in the kitchen. They will be a staple for future trips. Beyond flavor, food quality, and convenience, I thoroughly believe in only supporting companies that are doing things the right way – showing care for their customers, employees, and the world they live in. I can attest that Paleo on the Go is doing all of these things. More than the food, I was impressed with the people and dedication behind the scenes. In addition to creating products that fill such a need for so many of us, they give back to the community in many ways. Marc, Takara, and Kim shared with me how they choose a cause every month to support. On their Instagram page you will find photos of the entire staff dressed up for breast cancer awareness and information on their Meals that Heal giveaway – a donation of 10 Thanksgiving meals to families in need. This month they are supporting Alzheimers awareness by donating a dollar of every purple sweet potato order to the Alzehimer’s association. In addition to support of various causes, food that cannot be packaged right away to be sold is donated to area homeless. Overall I cannot express how impressed I was by Paleo on the Go. They were more than gracious to let me see how things are done and extend that transparency to their customers via their website, Facebook live videos, and social media. They have a wide array of offerings and is definitely a company I can put my support behind. I’m looking forward to my next order! Order from Paleo on the Go here and use the code “SUNSHINE” to save 10% off your order! Check out my FB Live interview with Paleo on the Go here. I teamed up with Paleo on the Go on their 30 Day Elimination Diet Meal Plan! It includes 60 chef prepared AIP meals along with a done for you 30 day plan with recipes from myself and other top Paleo AIP bloggers – The Paleo Mom, Phoenix Helix, Gutsy by Nature, and A Squirrel in the Kitchen. This is great for those short on time to cook, those new to the diet, or those who are planning on relaunching the elimination phase of the AIP in the new year.